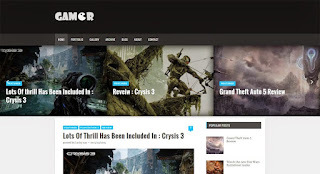 Gamer is a creative gaming theme for blogspot blogs. It's simple one yet elegant with lot of amazing features like featured posts slider, subscription box, custom labels etc. to make your blog look more professional and attractive to your audiences. We have also took care of SEO, as blogger is a Google's Child so there is less to worry about SEO.